When the weather is mild, it’s great to have a place to dine outside and be protected from the elements. 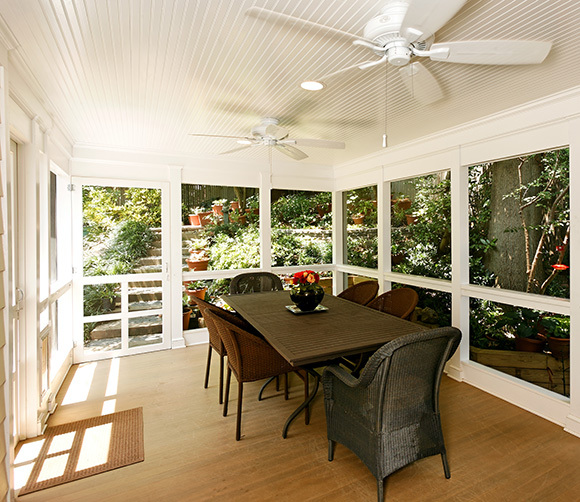 This porch is perfect for that occasion and our client loves it. We added romance and nostalgia with a beaded ceiling, soft light in recessed fixtures and fans that provide a gentle breeze for nights when the air is still. 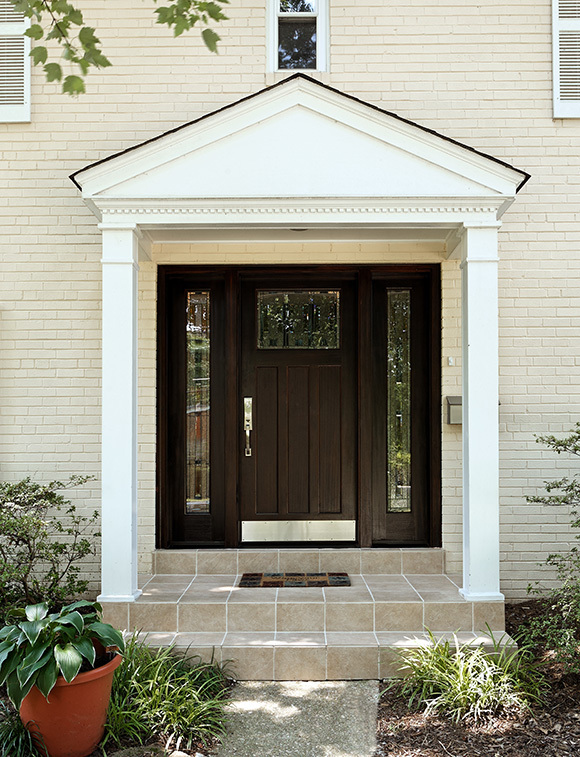 Also, a new front portico creates a welcoming entrance to the attractive home.